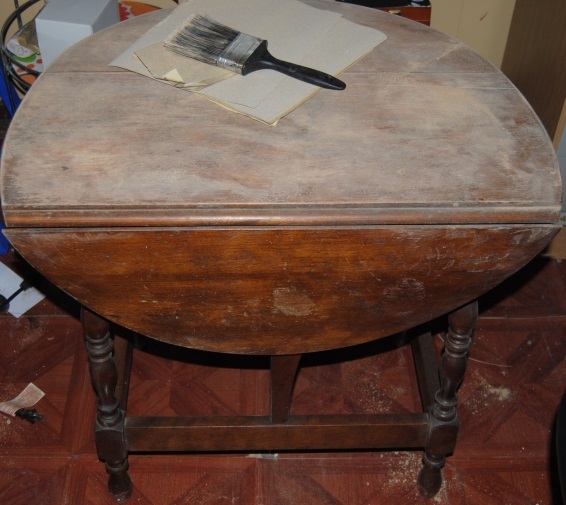 Having a little, beautiful, drop leaf table (a little like yours, but pine and oval in shape when opened), which I had to work on following an unnoticed (for a couple of hours) spillage of a liquid air fragrance accident, I know how much work can go into re-finishing a table! 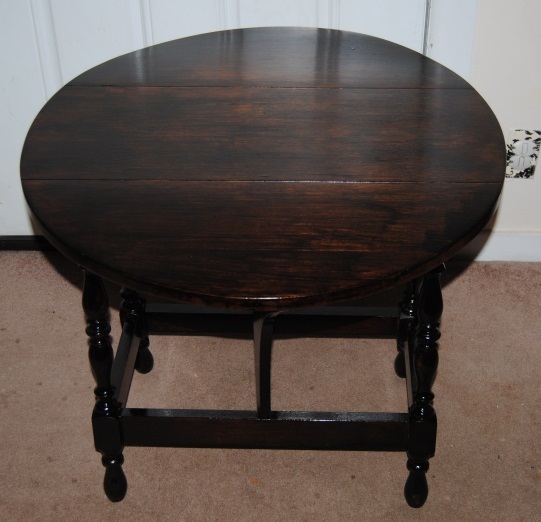 I obviously hadn’t learned my lesson though, because I went on to buy a fabulous 70 years old pine table in an auction which had all manner of marks to the top – numerous colours of paint splashes, cup rings, spillages etc, and I re-did the top of that too. Both of these tables were very much worth the work – as was yours. The finished result looks beautiful. The grain of the wood practically sings now. I bet it looks quite majestic in your home. And I also bet that your husband is thrilled to bits with what you’ve done to his family heirloom. It’s now a beautiful piece of furniture which can be passed down through the family, with stories attached to it. Ohh!! You could do it’s own story book! 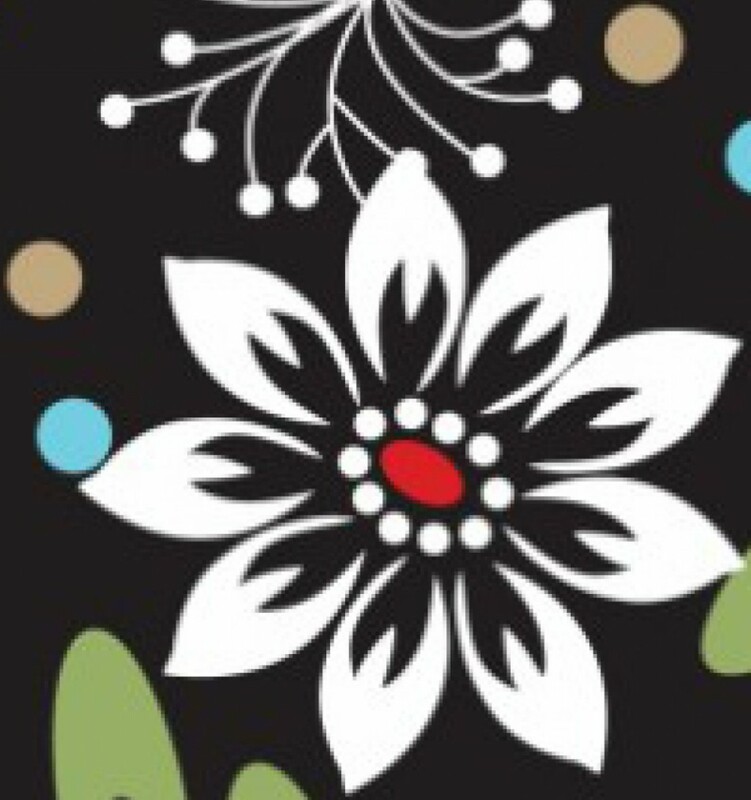 Like a scrapbook of the table – with blank pages at the back so that more ‘stories’ can be added to it. If the family have any old photographs where the table can be seen – you could add those photo’s too! (or scan the originals and put a print out of them into the scrapbook). The table would then have it’s own written story which would be passed on through the generations. How fabulous! GREAT post, OnTheUp. It was such a wonderful read and it brought back the hard work but happy memories of my own projects. Brilliant. Cobs what lovely words and an amazing idea to do the scrapbook! The hubby doesn’t have a lot of photos but I want to look through what we have to see if we can spot the table! Thanks so much as always! I always enjoy your comments and it makes me smile when you stop by!! What a lovely job! It looks so good. 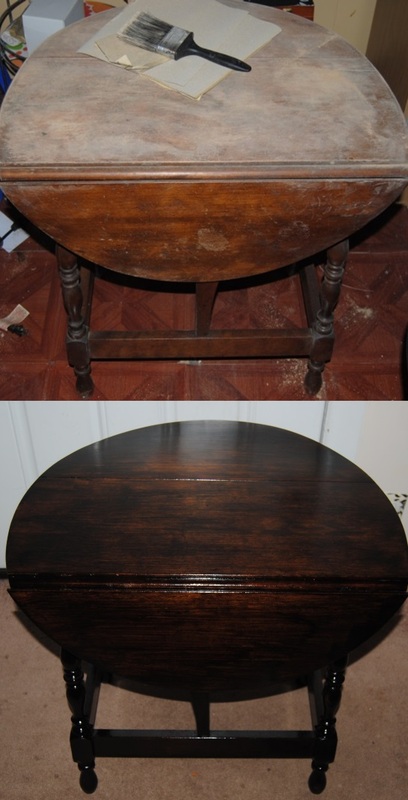 You did a wonderful job–love the color of the stain!